This is the time of year we have the most customers come in with concerns about insects attacking their plants. Common complaints range from their crepe myrtles being covered in white little dots which in fact is a little insect called scale to boxwoods looking discolored with little black dots left on the underside of their leaves by tiny spider mites. It is important to treat these unwanted insects as soon as you see them to prevent further damage to your plants. 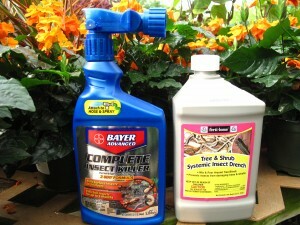 Our two favorite recommendations which can be used separately or together are Bayer Complete Insect Killer which can be attached to the end of your hose and sprayed on your plants to kill insects on contact and Fertilome’s Tree and Shrub Systemic Insect Drench which you mix up and poor at base of plant so that it kills the insect when it takes a nibble. Remember that these will kill all insects so if you have some insects in your garden that you don’t want to kill, be sure to ask about organic options. Too Much Water? Not Enough Water? 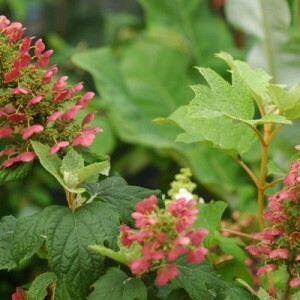 Another one of the most common things we see at the nursery this time of year are customers coming in with a sample of their plant that just isn’t doing well and appears to be wilting. Wilting can occur from not enough water, but if it still wilts after you water then more than likely it is due to too much water or poor drainage. 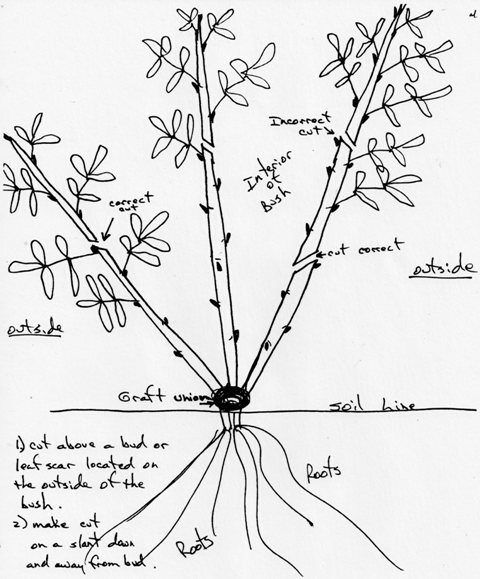 Feel the soil to see if it is wet below the surface. Also, check the location to see if it is in an enclosed space or open area. It’s also important to know what species of plant it is. 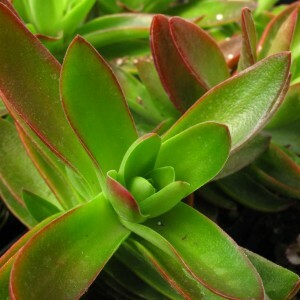 Based on these things, we can better help you to identify the next steps to help save the plant. But, it is always advisable to back off on the watering (if indeed it’s from too much water) and improve the drainage by adding pine bark mulch and expanded shale. Also, remember that any new plantings will need to be hand watered in addition to your sprinkler system. How often? Well, that really depends on your location, drainage, and plant. Please be sure to call or come in if you have any further questions. Both of our locations will be closed for the Fourth of July. Hope you enjoy the holiday… we will!! See you back on Friday. 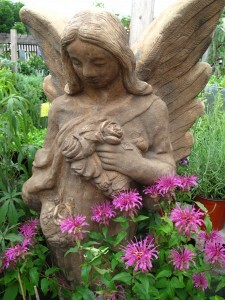 I saw this monarda in bloom next to an angel statue in our perennial area and had to share it. This is a perfect example of how mixing art and plants in the garden can create a quiet beautiful space for reflection and peace. We recently got in these unique sculptures/torches shaped like cacti that make an interesting focal point in your garden by day, while lighting up your garden as a torch by night. They are made with galvanized or powder coated steel that resists rust even near saltwater. They are also individually hand crafted keeping in mind that they would age naturally to create a more realistic rendition as they age. 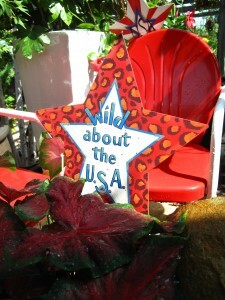 Come on by the Nicholson-Hardie Nursery at 5060 W. Lovers Lane to see these one of a kind sculptures. 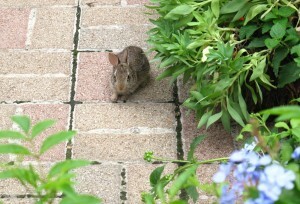 The other day we spotted a little bunny roaming the store. Today it stayed in one place long enough to let me get a picture! Smells wonderful that is! 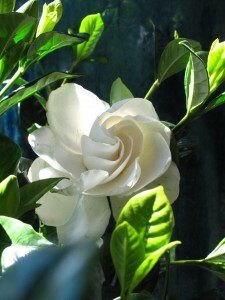 Last week we got in another shipment of Kleim’s Hardy Gardenia in full bud and bloom. 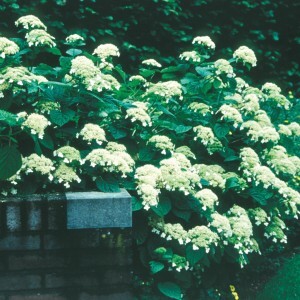 The star like blooms start out a creamy white and fade to an antique yellow and cover the whole plant when in bloom for about six weeks in late Spring to early Summer. 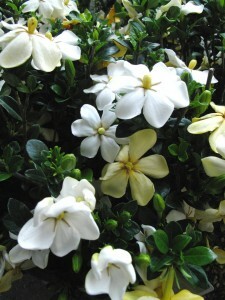 This dwarf variety gardenia grows to about 2 or 3 feet high making it perfect to place in front of other evergreen shrubs, as a border plant, or in containers. The Kleim’s Hardy Gardenia is a great choice for the Dallas area since it is more heat and cold tolerant so it won’t scorch in the summer and won’t have as much winter damage like some other gardenias. 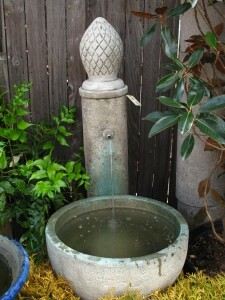 Water fountains are a great way to create a relaxing oasis in your backyard. 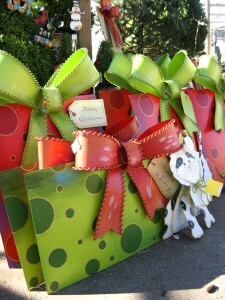 They can also be used as an attractive focal point. 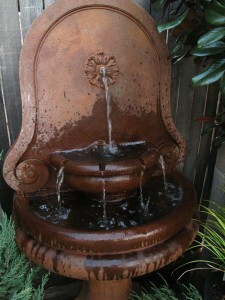 We have received some new fountains that can help turn that special spot in your garden into a forest retreat. Or, if you have a flair for the modern, try a granite wall fountain called ‘The Wave’ because of the wave pattern it makes as the water rolls down the slate which can be enjoyed from all four sides. This time of year we are always getting in new and exciting things for the garden. At the end of last week, received some slate planters that have a new contemporary look but that could also be used in a more traditional setting. 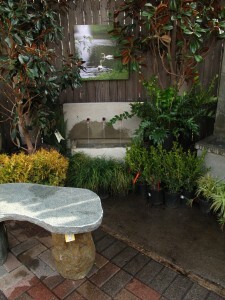 We also got in some new benches including two slate ones and a solid natural jade bench. 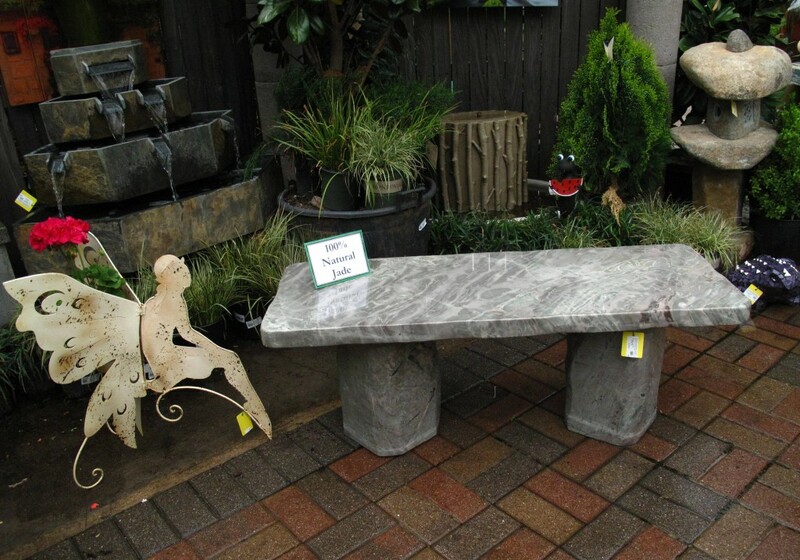 There is substantial weight to these benches which make them ideal for your garden since you won’t have to worry about them being unsteady or falling over. And the good news is we offer free delivery in the area so you won’t have to worry about how to get them home either! We hope you have a wonderful day this Sunday! 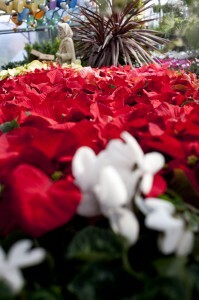 We will miss you at the Nursery since we will be closed to spend time with our families. Some of us I know will also use this much cherished weekend day off planting since we have been getting the Spring itch to get some color in our garden. 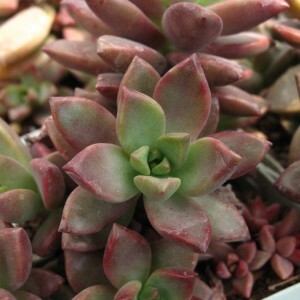 It sure is hard not to spend a fortune on plants when you work here… and we got so many plants in this week!! Our sidewalk was full of heat loving tropicals and summer loving plants like zinnias, coleus, impatiens, begonias, alyssum, hibiscus, bougainvillas, mandevillas, angelonia, elephant ears, tropical ferns, and many more. This is just the beginning! We expect our sidewalk will be full and beautiful like this every week for the next couple of months! 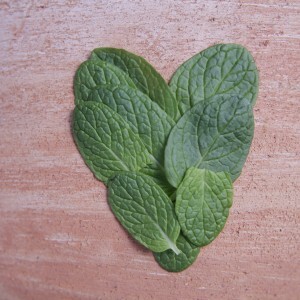 If you have already gotten a jump start on some of your herbs and vegetables or other heat loving plants – good for you! You can actually get a better crop production by planting tomatoes and peppers early. 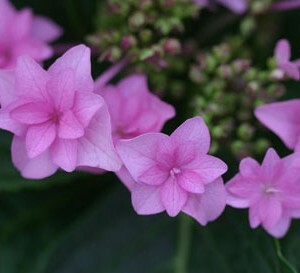 Impatiens and Begonias can also appreciate a cool start. However, our forecast says that the temperatures Saturday night thru Tuesday night can dip into the low 30’s. In this case, you want to protect those frost tender plants. 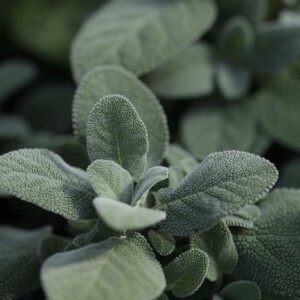 If the plant is still small you can protect it by covering it with another pot to keep some of the heat in and prevent damaging frost on the leaves. 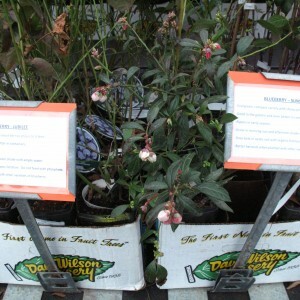 If you have a bigger plant or a whole bed planted, it’s a good idea to come into the nursery and pick up a frost cover. (By the way, these frost covers are also good at protecting your plants from wind chill and hail damage if that should occur in coming months.) Some people ask if a sheet will work… it will if you double it up and stake it down. Although it helps keep the frost off your leaves, a single sheet is just too thin to lock in any heat and a blanket might be too heavy and break plants without stakes to support it up and off. If you have any other plants that are winter hardy, but have a lot of flowers on them like Azaleas or Camelias, you might want to get a frost cover for them to protect your blooms. Other plants that need to be protected are coleus, sweet potato vine, zinnias, and any tropicals you might have already purchased. This is by no means a complete list, so please call us to find out more information or if you are concerned about a particular plant. After a long day, sitting outside and enjoying your garden is one of the best ways to relax and wind down. We recently got in these classic retro chairs in bright primary colors that are comfortable and stylish. We currently have them in aqua, red, yellow, and lime. If you need a specific color, let us know and we can bring that in for you. 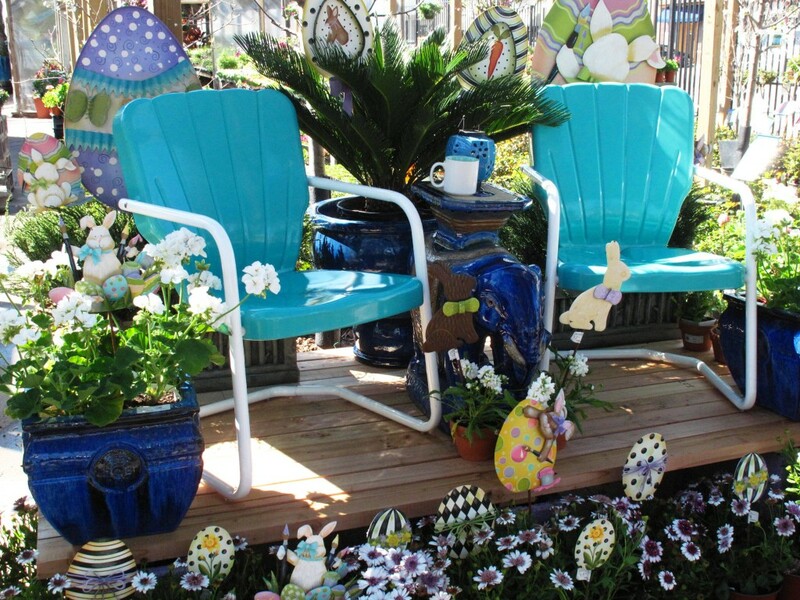 In the featured image, we have the aqua colored classic retro chairs combined with earthenware blue pots filled with geraniums and a sago palm. A beautiful blue elephant side table between the chairs is holding a candle and a cup of coffee. Since Easter is almost here, we also have a wide variety of metal art with bunnies and Easter eggs scattered throughout the nursery. 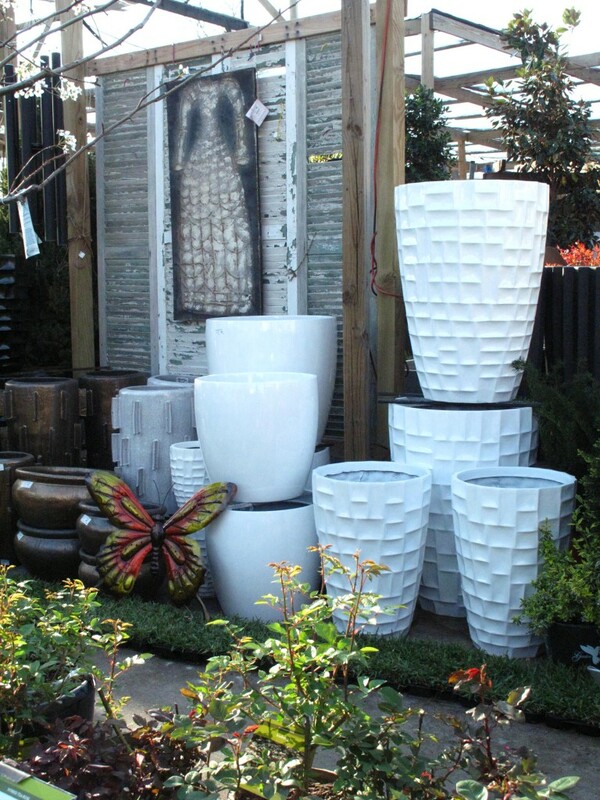 If you need some containers that aren’t heavy but have a very solid look to them, try some of our resin and fiberglass pots. Right now we have an assortment of sizes and shapes in different colors. 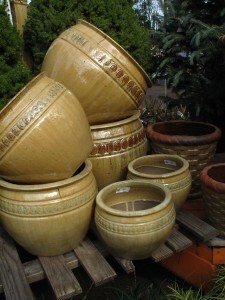 The white pots featured in the image only look like they weigh a ton, but are really light and easy to carry. This same style also comes in black. 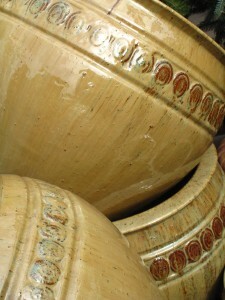 We also have other resin and fiberglass containers that are made to look like concrete, while others look like glazed pots. Also featured in this image is some light weight metal wall art and a butterfly to liven up your garden and bring it all together. 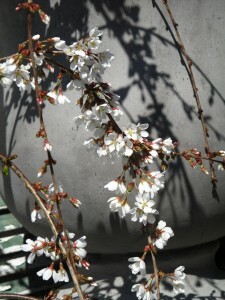 Weeping Cherry trees are a wonderful addition to any garden planted in the ground or left in a container. 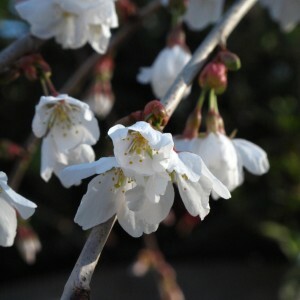 They are covered with small blooms along the branches that weep over and practically touch the ground. The cascading growth habit contrasts with other trees making it an interesting ornamental throughout the year. 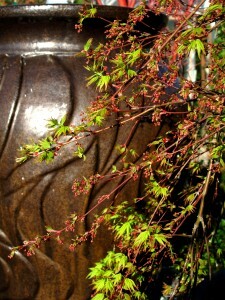 When Japanese Maples first start to leaf out in early Spring, they have striking foliage color in shades of red, orange, yellow, and green depending on the variety. 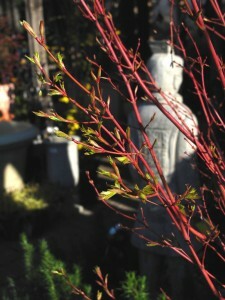 Their colors along with their elegant growth pattern make Japanese Maples a must for any shade garden or understory tree. Right now, we have a wonderful selection in all shapes, sizes and varieties. The walkway in our nursery right now is filled with the sweet aroma of Gardenias and Evergreen Clematis. 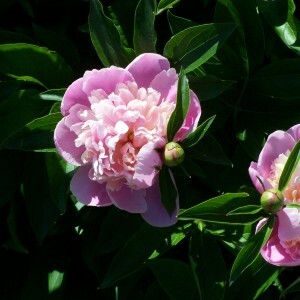 These are two early Spring bloomers that are sure to delight anyone who plants them close to a doorway or a walkway where they catch their sweet fragrance. 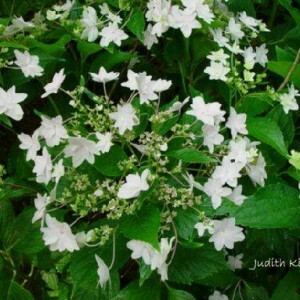 The Evergreen Clematis is a vine with tiny star like clusters and a long dark green leaf that stays all year round unlike other Clematis which die back in the winter. 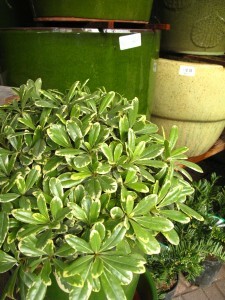 Gardenias are also an evergreen and do very well in pots with protection from the afternoon sun. 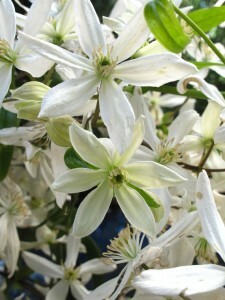 Both the Evergreen Clematis and Gardenia have white flowers which make them a great choice for moon gardens. 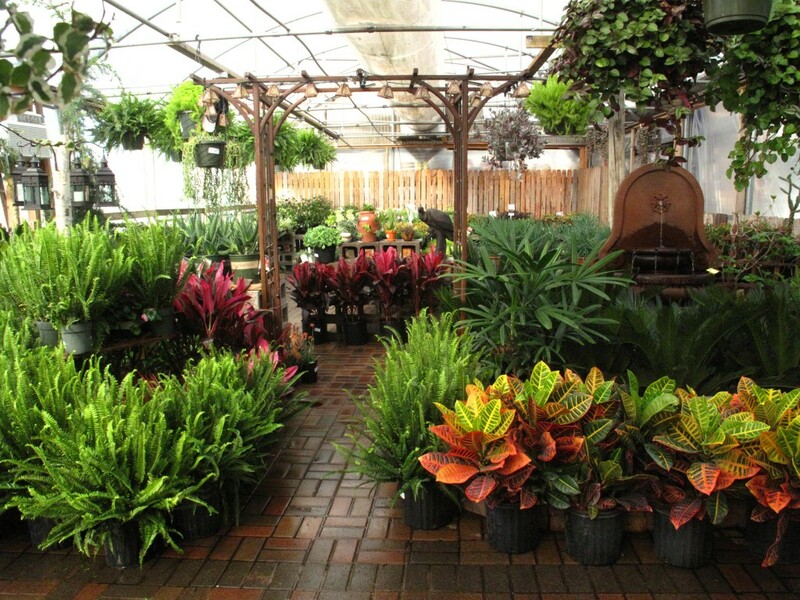 Today we got our first shipment of tropicals for this year, and nothing brings the greenhouse to life like the beautiful lush foliage of ferns and the bright colors of Crotons and Dracaena Spikes. 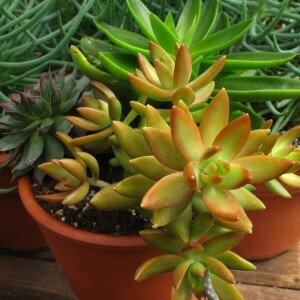 We also have a succulent and cactus table set up in the greenhouse full of an assortment of drought loving plants in interesting shapes and colors. These plants are tender and we are still not out of the woods yet despite the beautiful weather we are having, so if one of these plants finds their way to your garden, don’t forget to protect them if we have another frost. 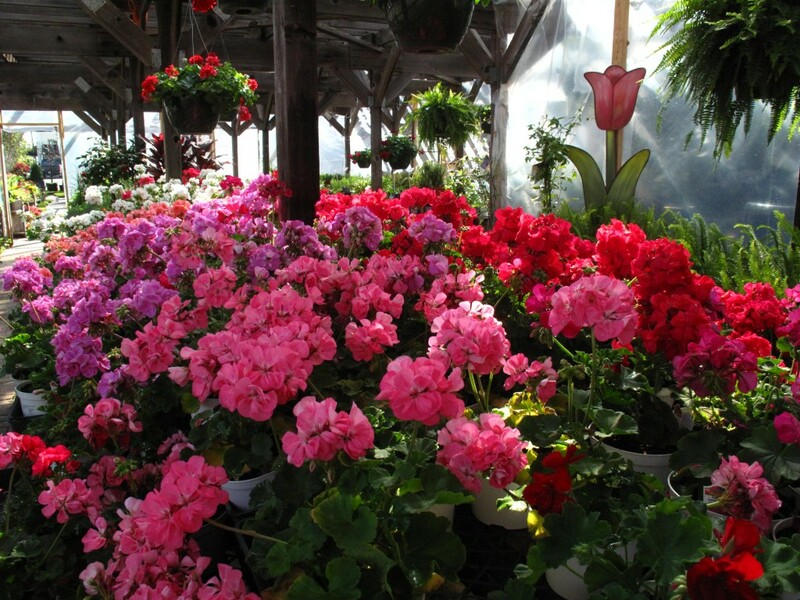 The color display of geraniums in full bloom can actually cause a traffic jam outside of our nursery this time of year. Exaggerating? Not really. Nothing beats the vibrant colors of lavenders, whites, pinks, corals, salmons, reds, and violets. When massed together they are a real showstopper. 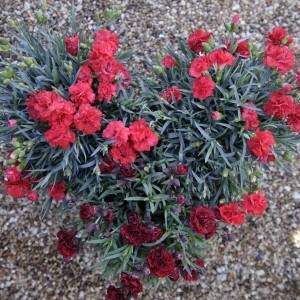 They also do beautifully in pots by themselves or with some trailing ivy or alyssum. Sometimes we use it here to brighten up an herb container. 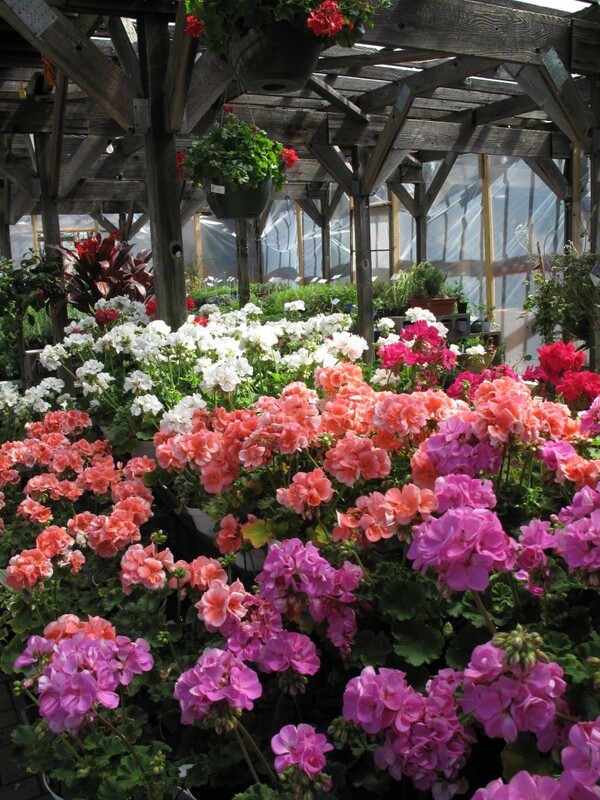 We also have some trailing geraniums that are great for hanging baskets. 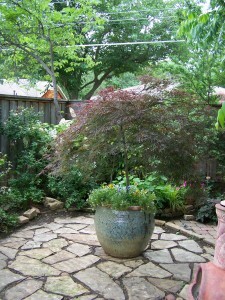 Need a good place to start your landscape design? 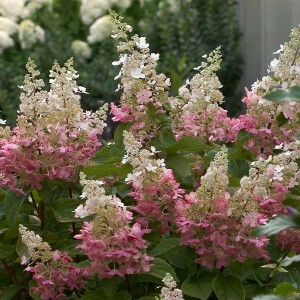 With so many different plants to choose from sometimes it can be hard to find a good starting point. Theme gardens are great for that. 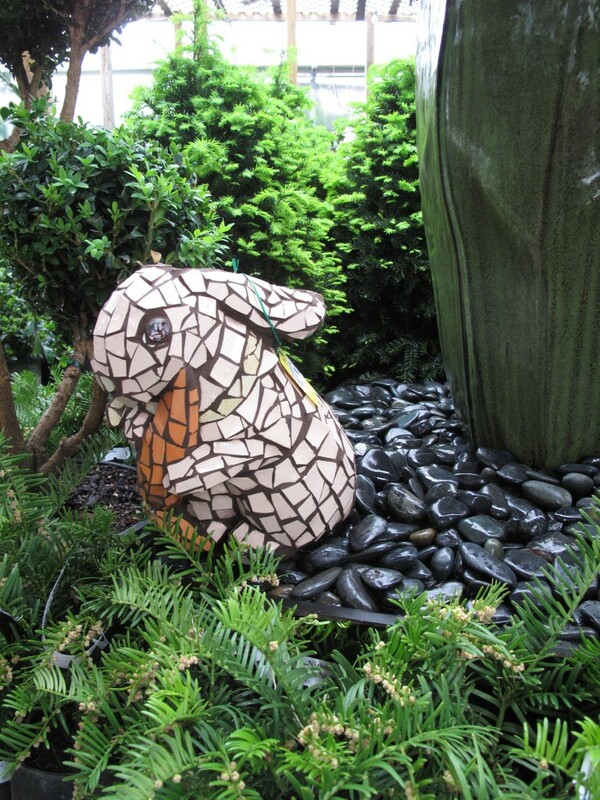 You can plan your whole garden around a central idea, or you can plan different sections to incorporate a theme. 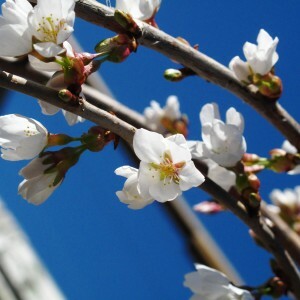 For example, on your patio or balcony, you might want a moon or fragrance garden so you can enjoy blooms in the evening and get a waft of sweet smelling blossoms. 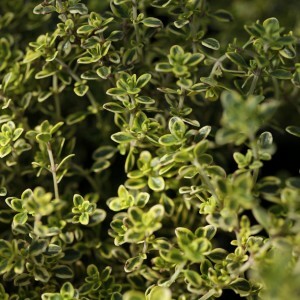 Next to your kitchen door, you could plant herbs and vegetable to create a cooking garden. Do you have an area where your sprinkler doesn’t reach? 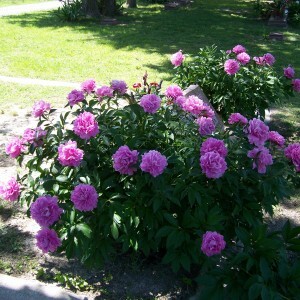 You can create a rock garden with low growing and drought resistant plants, or a cutting garden using Bearded Iris and Peonies. Butterflies and birds can be attracted to your yard by using different plant combinations and garden features like a fountain or birdbath. 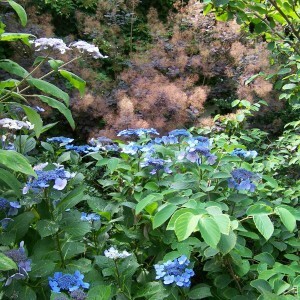 Hedges can be used to create screens for hidden gardens. And it’s a lot of fun to watch children play in gardens especially designed for them. 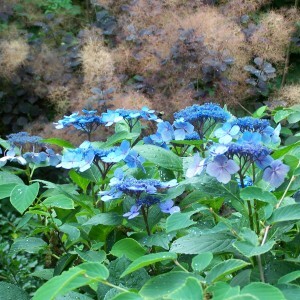 Or, maybe you just want a low maintenance formal garden with seasonal color. The possibilities are endless. 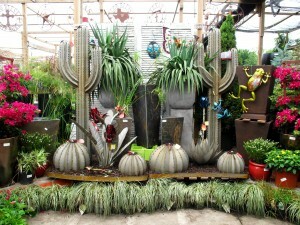 Come on in to the store and we would love to help you get the plants you need depending on your gardening needs. We also have some designs for butterfly, urban vegetable, and shade gardens already made to help you get started. Creating a garden is an investment… an economical one as well as an emotional one since we tend to care for and grow to love the spaces that we have created and the plants therein. So just like any investment, it is good to gather some information first to ensure greater success. Here are some questions we might ask you at the nursery to help you find the right plant for your space so that you can come prepared and make the most of your visit to Nicholson-Hardie. How many hours of sun do you get in your location? Do you get morning sun or afternoon sun? Are there any trees or structures that might block the sun? Is it direct sun? Dappled sun? Bright light? Or deep shade? If you can, it is important to pay attention to the time the sun hits because sun at 11am might be fine for some plants whereas sun at noon will scorch them. Does the sprinkler have good coverage? Are there some areas that stay wet? Are there some areas that stay dry? What is the quality of your soil? Is it hard clay? Is it sandy? Is it a new bed, or an existing bed? Pay attention to different areas in your yard. Moisture can vary in different sections of your beds. You can put empty tuna cans out in various places and run the sprinkler system to test your coverage. Remember that certain areas may dry out faster than others, so keep that in mind also. 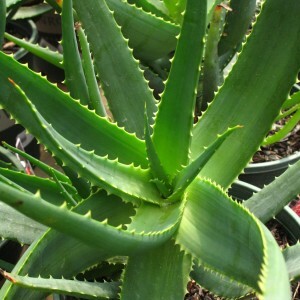 The following questions refer to the type of plant you would like? 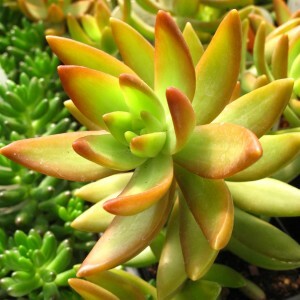 Do you want a plant that stays green all year (an evergreen)? 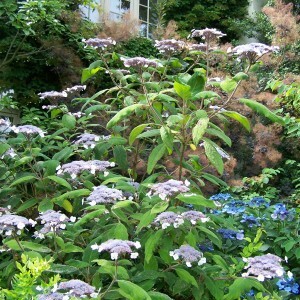 Do you want a perennial garden that comes back every year? 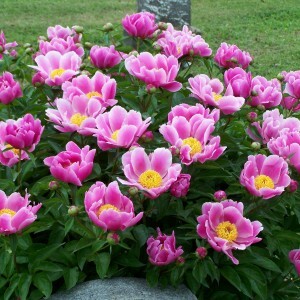 Do you want plants that bloom and bloom and bloom for a season and then replace with other plants that bloom and bloom for that season (annuals)? How big is your space in width and depth? How tall do you want the plant to be? How much maintenance do you want to put in? What kind of garden do you want? 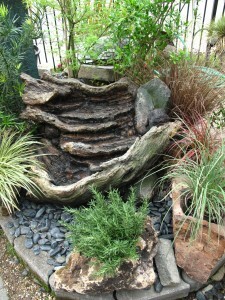 Do you want a formal look to your garden? Would you love a cottage English style garden? 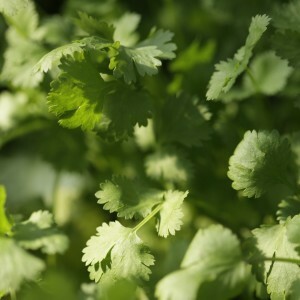 Are you interested in growing your own fruits, vegetables, and herbs? 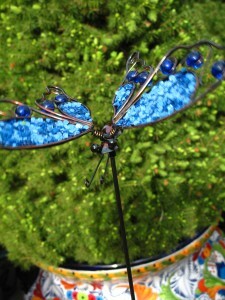 Do you want to attract butterflies or birds to your garden? 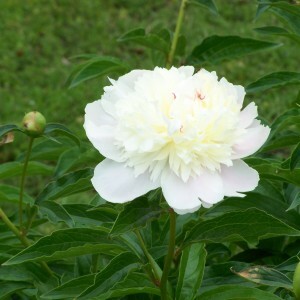 How about a fragrant or cutting garden? Would you like to involve children in your garden? 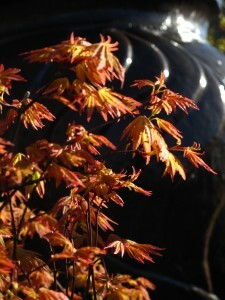 Are your plants going in a container, in the ground, or a mix of both? This is a long list and a lot to think about, so if all else fails, just come prepared to answer questions about how much sun you get and we can go from there! What Is All the Hoopla Over Azaleas? They are gorgeous! 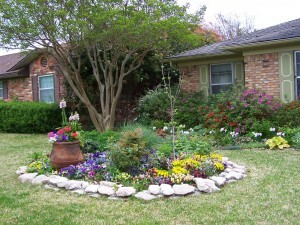 Have you ever driven around the Turtle Creek area in Dallas and seen the outstanding display of flowers in all shades of whites, pinks, corals, oranges, and reds that appear in early Spring? Those are Azaleas. 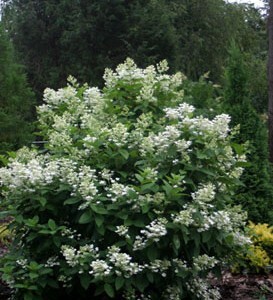 They are wonderful plants that can be an evergreen shrub in your garden with a breathtaking display of flowers in the Spring. There’s only one catch… they are allergic to our soils! Well, rather the high PH level and salt content in our soil is toxic to their roots and they will die a slow, ugly death if planted directly into our native Dallas soil. 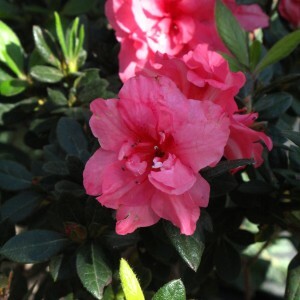 However, with the proper planting and a lot of initial work, which requires excavating your soil and replacing it with Azalea Mix, you can grow Azaleas quite easily in your garden. A previous post about soil recipes goes over what you need to do to prepare your Azalea beds, but I’ll repeat it here so you don’t have to go back and look for it. Azaleas need to be planted in a bed 15”- 18” deep with Azalea Mix which is a mixture of 50% moistened Peat Moss and 50% Pine Bark Mulch. 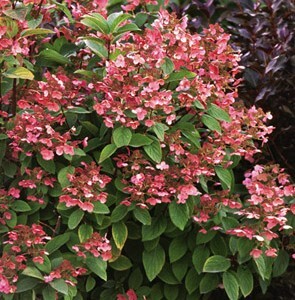 Our Nicholson-Hardie Azalea Mix is ready to go and a lot easier than trying to mix it yourself which can be laborious and time consuming. Raised beds are preferable since it ensures drainage, allows more depth of Azalea mix, and allows you to be more flexible with your location. Excavate 2” to 4” of your existing soil. 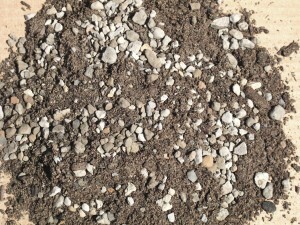 Prior to this you will need to think about where you want to put this soil… in your garden or have it hauled away. 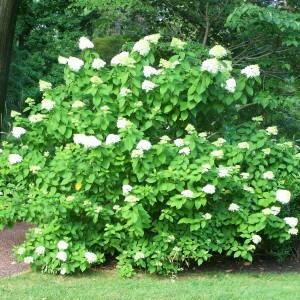 Raise your beds 14” to 16” with Nicholson-Hardie Azalea Mix. 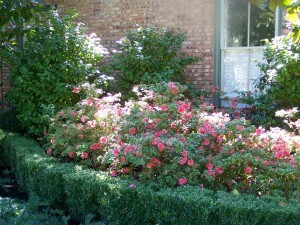 Once your beds are prepped, you can start planting your Azaleas. 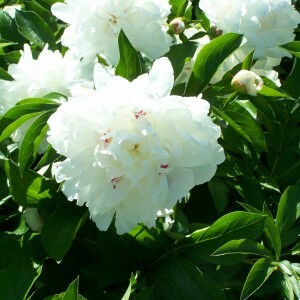 Apart from your bed preparation, there are a few more things to consider when planting Azaleas. Be sure to choose the right location. 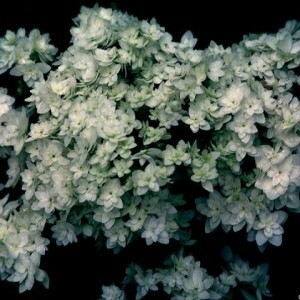 Azaleas like shade, but not deep shade. They prefer half a day of morning sun, or bright dappled sun. They can take the sun after 4pm, but they don’t want to be in our scorching midday sun. Fertilize with Fertilome Azalea, Camellia, and Gardenia food three times a year – once in April after they bloom, once in June, and again in September. Wash any fertilizer off the leaves to prevent burn. 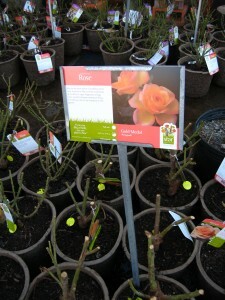 You can also fertilize with Rose Glo as an organic option – just follow the same feeding schedule. 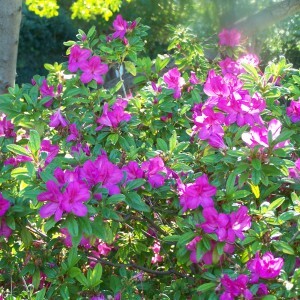 If your Azaleas have yellow leaves with green veins, use Carl Pool Mineralized Acidifier. 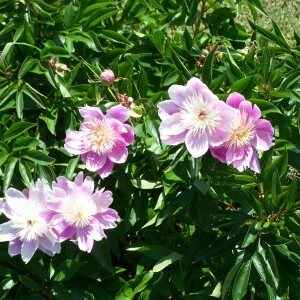 Do you want blooms two to three times a year – Spring, possibly Summer, and Fall? Encore Azaleas are a newer variety, but have proven to be wonderful bloomers. If you want Azaleas in Dallas, it is possible… you will just have to jump through some hoops at first to get your beds just right. Just like with food, there are many different recipes for prepping your garden beds. Here are our favorites. Start by tilling the soil 8” – 10” deep. Mix in some soil additives to ensure that plants grow strong roots, get good drainage and have access to nutrients. Mix in 3-4” of compost. Dust with Plant Success Granules which add Mycorrhizae and Trichoderma (two beneficial Fungi groups). Add ½” to 1” of expanded shale. Put some fertilizer in with the soil. i. Texas Tea 6-2-4 is a good organic choice. ii. Fertilome Start-N-Grow 19-6-12 is a good inorganic choice. (Optional) Dust with green sand to provide essential trace elements. (Optional) Dust with dried molasses to feed beneficial microbes in the soil. For pocket planting follow the recipe for new beds in proportionate amounts to the size of planting hole you are making. Top dress with about 1 ½” of compost. Fertilize with either Texas Tea (organic) or Start-N-Grow (inorganic) or Nicholson-Hardie Lawn and Landscape Fertilizer 20-5-10. Remember that our native Dallas soil has a high PH balance and high mineral salt content which is toxic to Azaleas so they require special bed preparation. Azaleas need to be planted in a bed 15”- 18” deep with Azalea Mix which is a mixture of 50% moistened Peat Moss and 50% Pine Bark Mulch. 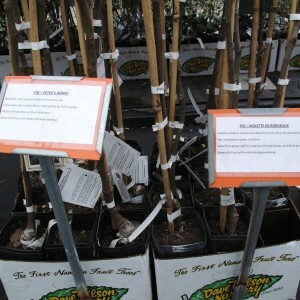 You can get the Nicholson-Hardie Azalea Mix which is ready to go and a lot easier than mixing it yourself. 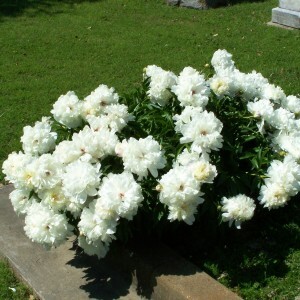 Then you are ready for planting your Azaleas. These recipes will help you get the best results for new beds and help maintain existing beds. Right now is a great time to start prepping your garden beds to get ready for the Spring. While looking over our inventory, we saw some products that we would like to share with you this week to help promote root health and plant growth. Growth Technology: Ionic Grow and Bloom Formulas are gentle micro-nutrient fertilizer concentrates that are formulated for use in soil. 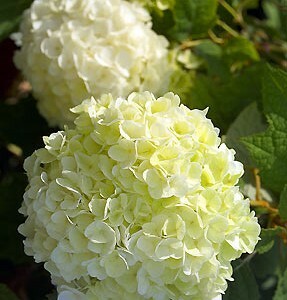 They are premixed so they only need to be diluted with water and then watered in to the soil. They are made using natural minerals, not industrial chemicals. 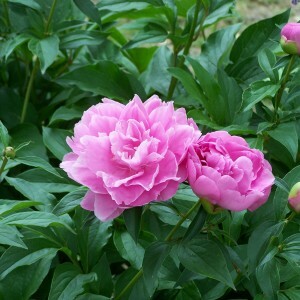 They promote healthy growth, bright foliage, and beautiful blooming color. Microbe Life Photosynthesis Plus is not a fertilizer. It is, however, a colony of various bacterial and fungal strains that spur root growth and optimize the vascular system of the plant for converting fertilizers and sunlight into growth. This product is like a nitrous-oxide for a plant – it helps the plants make the most of fertilizers by promoting healthier and stronger root growth and faster photosynthesis reactions. 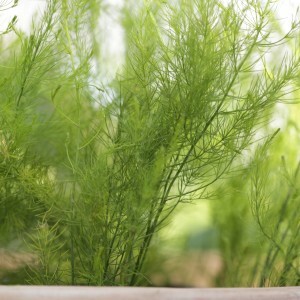 These stronger roots are what help your plants make it through the scorching Texas summer. Microbe Life Foliar Spray & Root Drench for Trees & Shrubs is a combination of micro-nutrient fertilizer with some of the same bacteria and fungal strains that are available in Photosynthesis Plus. 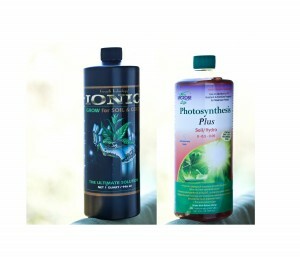 It is specially formulated for woody shrubs and trees to promote root growth and a very strong vascular system. It is also conveniently packaged in a hose end sprayer. 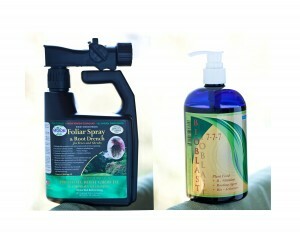 This formula is a one stop shop, and will improve the chances of valuable trees and shrubs surviving the summer scorch. Carl Pool Bioblast is a very balanced liquid fertilizer with trace elements and root stimulator. This is one of the simplest fertilizers to use. 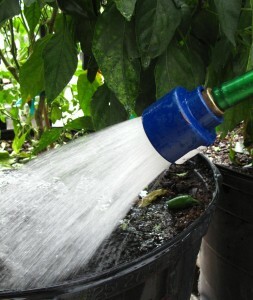 Just a few squirts from the bottle into your watering can, no mixing, and you are ready to go. This weekend we have a great line up of seminars with loads of tips on gardening with herbs and vegetables. The day kicks off with a lot of great information on how to grow your own vegetables including the selection of plants according to season, finding the right location, and how to care for and cultivate them. The following three seminars are all about herbs. 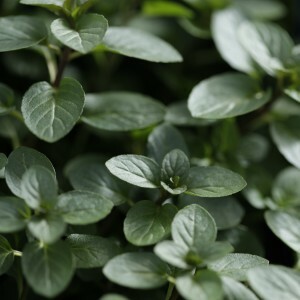 First, we will learn the ‘ins’ and out’s’ of growing herbs. 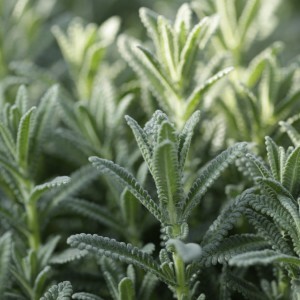 Then, we will hear about some favorite herbs from a member & past president of the Herb Society of America, who will also show us how to make herbal cookies with lavender infused honey, herbal massage oils, and herbal rinses for the hair. The day is topped off with a fun “hands on” demonstration of using herbs from the garden in our cooking. Be sure to walk away with plenty of new recipes and great ideas to implement in your garden and kitchen. Reminder: We are sorry for the inconvenience but some of our classes have been moved around or cancelled. Unfortunately, Baking Sourdough Herb Breads 101 has been cancelled this year. For those of you who were really interested in this seminar, we hope you will check back with us again next year. For a list of all seminar changes, please check the 2013 Spring Seminar list. How Many Ways Can You Say…? 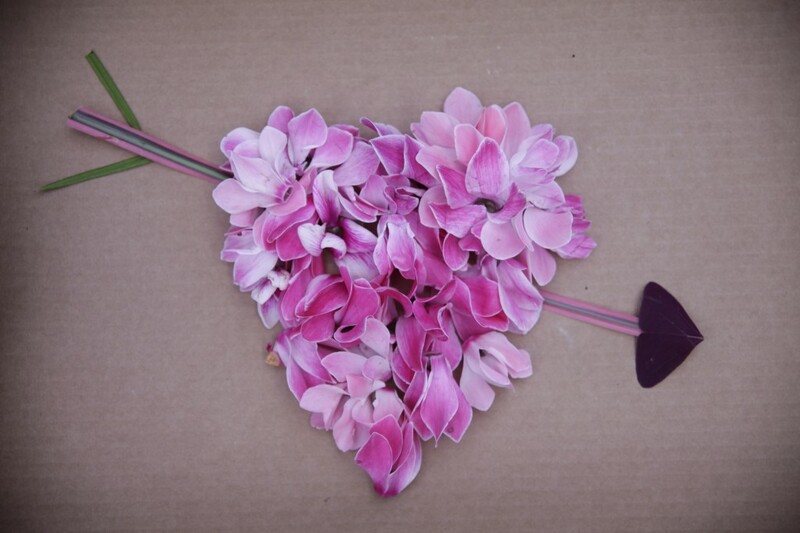 Happy Valentines’ Day from all of us at Nicholson-Hardie. Some people love Valentines’ Day, some people think it is too commercial, and still others would just prefer to skip right over it and hop into Spring. But anyway you look at it; Valentines’ Day is a day for indulgence… a romantic evening, a nice surprise, a smile from a co-worker, dinner with friends, or an unexpected phone call. 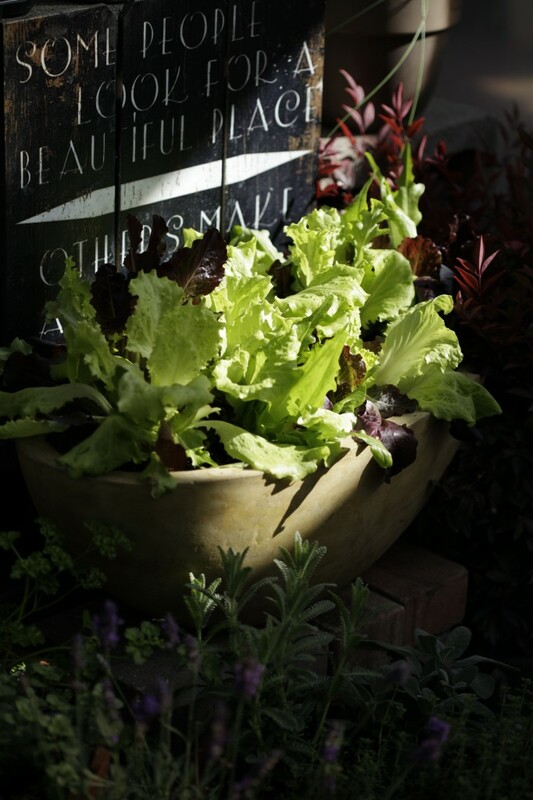 Here at Nicholson-Hardie, we love to indulge in our plants and gardens. This means learning about what they need and how to best care for them. Spring is right around the corner and now is a perfect time to be prepping your new plant beds with compost and top dressing existing beds. This feeds your soil with needed nutrients and loosens up the dirt so it is easier to plant in the Spring. 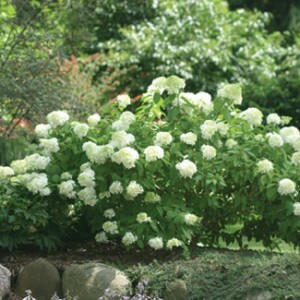 Also, now is the time to cut back your roses and perennials and plan to fertilize at the beginning of March. 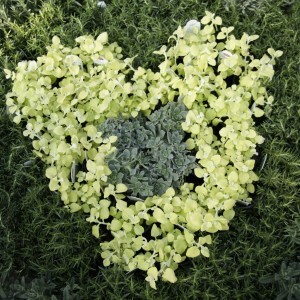 Your garden will love you for it! Looking for Some Heirloom Plants and Vegetables? 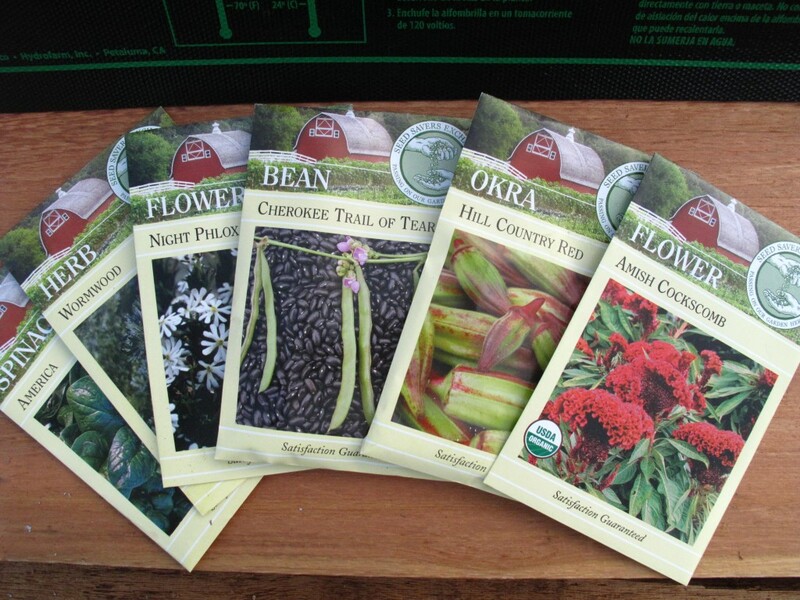 Seeds from Seed Savers Exchange are a great way to get some of those hard to find heirloom plants back into your garden. Seed Savers Exchange is a non – profit organization devoted to the preservation of heirloom plants and does not carry any seeds that have been genetically modified in anyway. This means we are able to maintain plants that have been around for centuries like the bean “Cherokee Trail of Tears” that was actually carried by the Cherokees along their long march. To me, this is very exciting because not only do you get to enjoy beautiful plants and vegetables in your garden, but you get to partake in history and its preservation. Plus, planting seeds are fun because you get to be involved in all stages of the growing process and it is amazing to see the first little shoots come out of a pot that just looked like dirt. 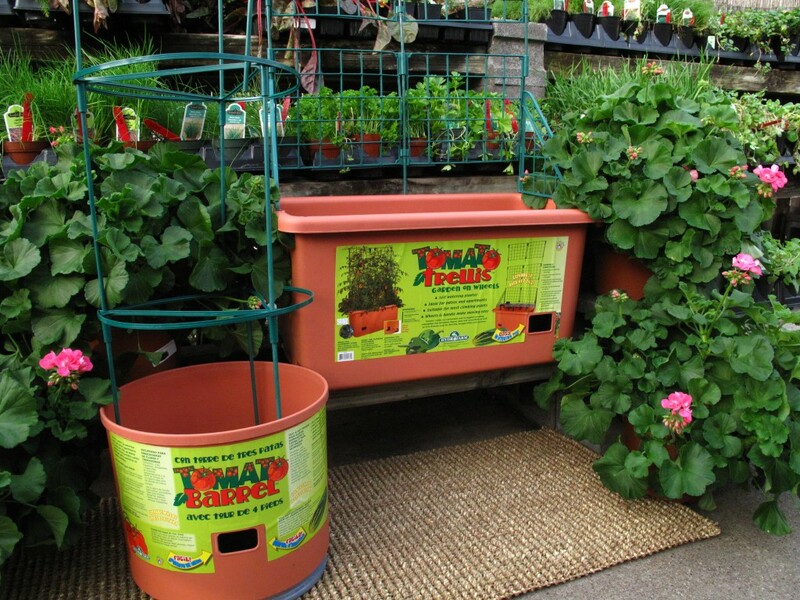 Do you want to go out and pick fresh tomatoes from your garden, but you don’t have the space? How about trying containers? 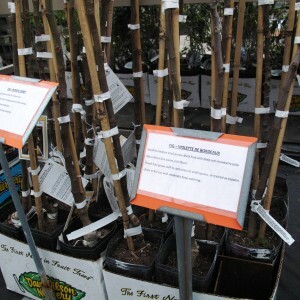 The Garden Shop next to the Tollway has these ready made containers that include a self watering system and a trellis. The nice thing about these too is that you can get one with wheels on it so you can move it during the day to get enough sun. Don’t particularly care for tomatoes? You can also grow other vegetables like beans, peppers, or cucumbers. Figs. Blackberries. Blueberries. Pomegranates. Peaches. Nectarines. Where can I put them all? Don’t they get too big for containers? 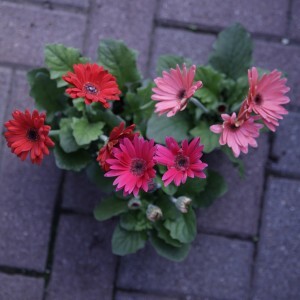 The Garden Shop has some varieties in right now that stay smaller and are perfect for the urban gardener. Just be sure to put them in enough sunlight, give them plenty of water, and maintain a regular feeding. 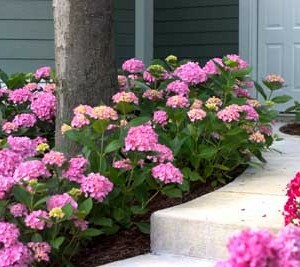 Hydrangeas don’t have to be purchased at a florist in order to enjoy their beautiful blooms. 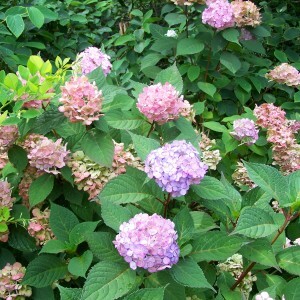 Sure florist grown Hydrangeas are beautiful, but so are Hydrangeas grown in your garden. 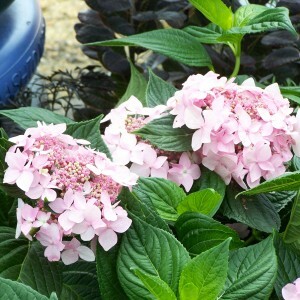 You can grow them in pots or in your flower beds under dappled light. 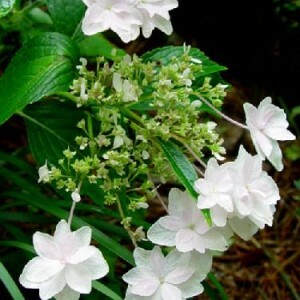 They do need some light so don’t put them in deep shade like under a Live Oak or a Magnolia. Just like any plant, getting them planted long before our summer heat is always a good idea so you can give them time to get their roots established before our drought season kicks in. Preparing the soil with some organic material first is key, and don’t forget to hand water in addition to your sprinkler system for the first year. 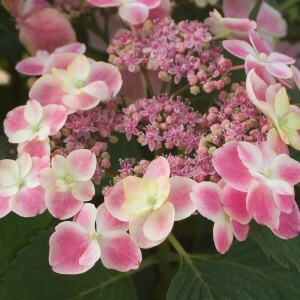 There are a lot of varieties and colors to choose from with a range of bloom sizes and styles. 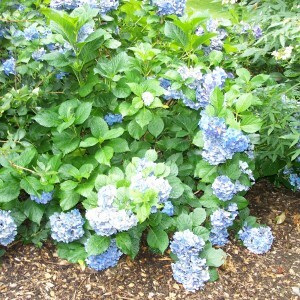 Do you want Blue Hydrangeas? Be sure to choose the right variety and pick up a bag of Aluminum Sulphate if you live in the Dallas area. 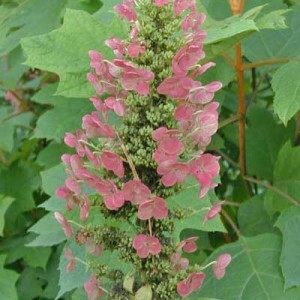 When they start to bloom in April or May (depending on the variety) you will be rewarded with an abundance of color. 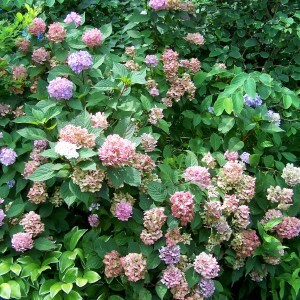 At the end of the season, let the blooms stay on the plants so you can have some interest during the winter months. 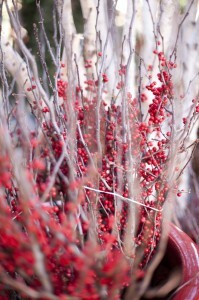 Need something interesting and beautiful for your shade garden in the winter? Try Hellebores. 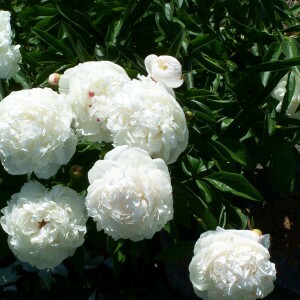 They have a very unique bloom that can be found in shades of white, green, and burgundy. 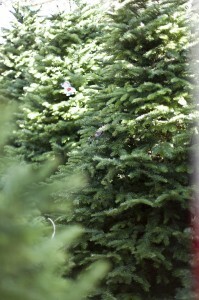 They are also an evergreen so you can enjoy their dark green foliage all year round. 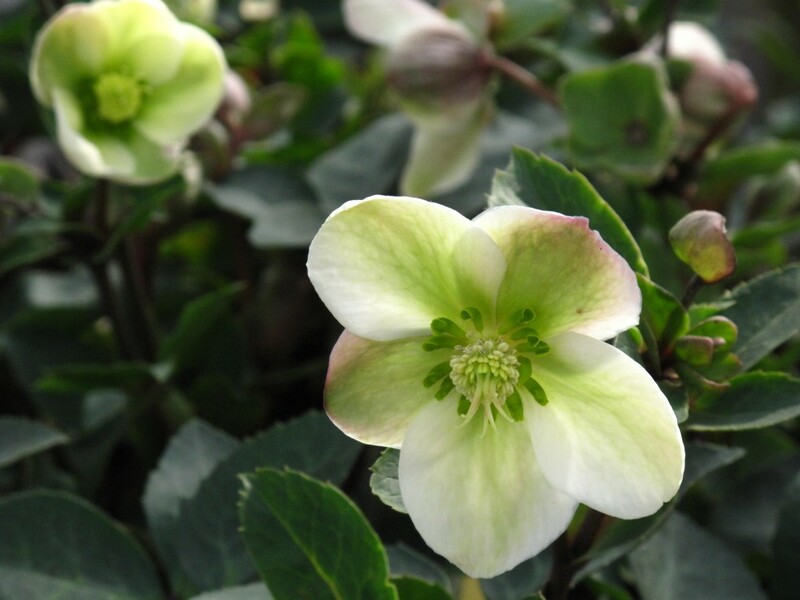 Mixed with other shade loving plants, you can’t go wrong adding Hellebores to your garden. 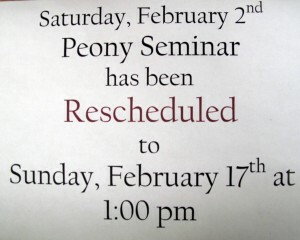 Sorry for the inconvenience, but the Peony seminar that was originally scheduled for this Saturday, February 2nd at 2pm has been changed to Sunday, February 17th at 1pm. Please call the store and let us know if you are interested in signing up for this date. 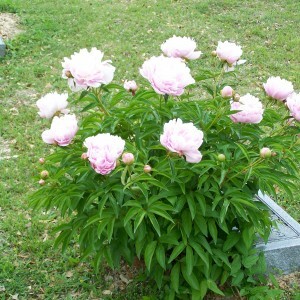 Common belief is that Peonies don’t grow in Dallas. But, with the proper care and selection, they actually do amazingly well. 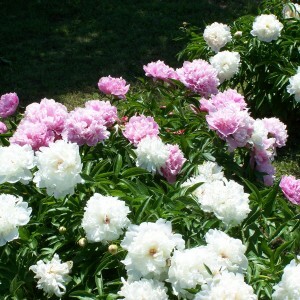 Luckily for the lazy gardener, Peonies don’t require much care. 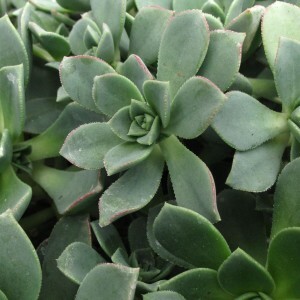 They are very winter hardy and drought resistant. 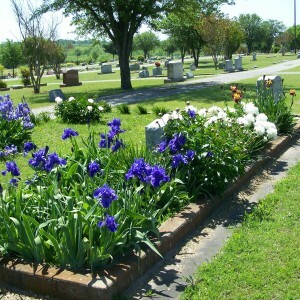 They can often be found at old cemeteries because they are so carefree and can live up to 75 years – which is a long time for a perennial. 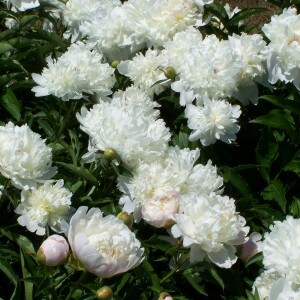 Peonies have a bitter taste which keeps them from becoming a snack to wildlife and helps ensure longevity in rural areas. 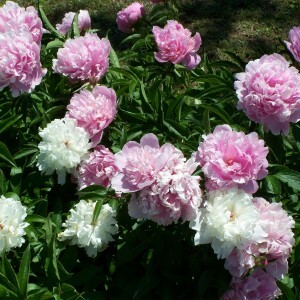 Peonies also make a great cut flower so you can enjoy their beautiful blossoms indoors. 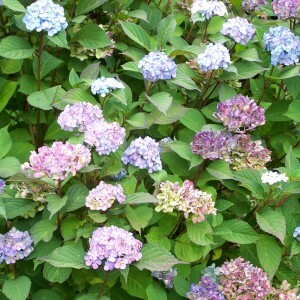 You have your choice of several flower types in a variety of colors. Right now we have a great selection with more expected within the next week or so. The warm weather we have been having lately has brought in a lot of customers who are ready to get outdoors to enjoy their garden and start planting. However, here at the nursery we are still in between seasons. 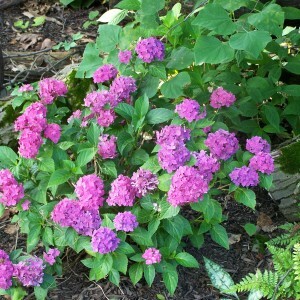 It is early in the season and a lot of perennials are still dormant and many Spring flowers aren’t out yet. 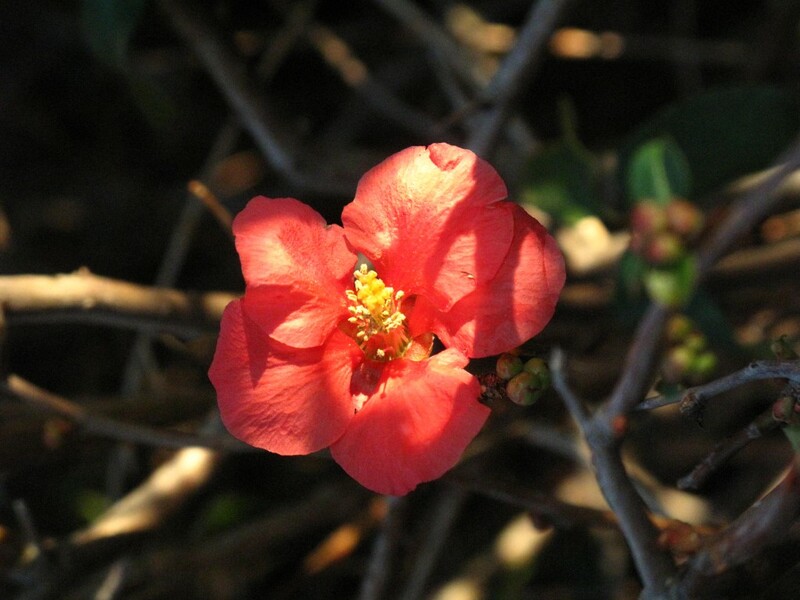 We do have a lot of the early Spring blooming deciduous trees and shrubs like flowering Quinces, Magnolias, and Redbuds (to name a few). 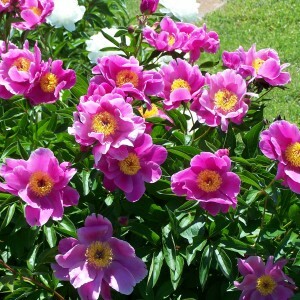 We have a huge selection of roses and peonies. 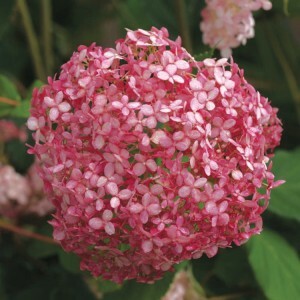 Plus, we are getting shipments of seasonal flowers, perennials, and herbs on a weekly basis as they become available. We choose to wait on some plants to ensure that you get the healthiest plant possible with a strong root system so that you have better success transplanting it to your garden or container. 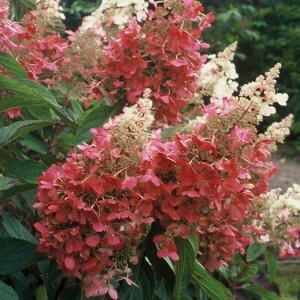 We also don’t want you to get a tender plant too early in case of a frost or a freeze. If you are looking for a specific variety of plant, please call us and we can let you know if we have it or give you a call back when it comes in. Or, come on in and see what plants are currently in stock. Remember, now is the perfect time to get ready for Spring by preparing your garden beds with compost and planning what plants you want to get this year. When we think of a garden, we often only think about the plants in our garden. 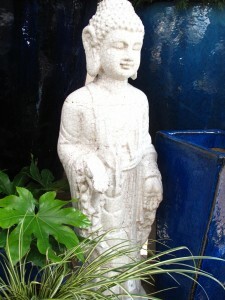 Adding a decorative container, sculpture, or fountain can really spruce up your space and create an interesting focal point. 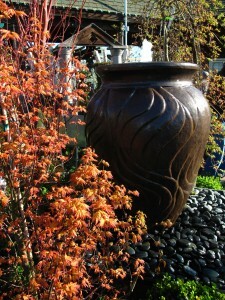 Often times, a fountain or container can be the solution to a problem area where you just haven’t been able to get something to grow. 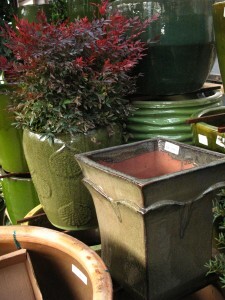 Containers also provide an inexpensive way to give a nice pop of color throughout your garden. If you live in a high rise or an apartment, containers and fountains allow you to create a garden space and quiet retreat. 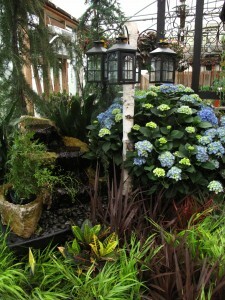 January and February are good months to begin thinking about the garden features you want to add to your home this year. We have recently been receiving wonderful new items. The month of Valentines is a popular month for roses, and an important one for rose lovers. It is a general rule of thumb to cut back your roses (not climbing roses) around February 14th. You don’t want to start cutting back too early, like in January, because cutting back the roses encourages new growth and promotes stronger cane formation. If we have a freeze, that new growth can be damaged. But, you also don’t want to cut back too late because then you will cut off new growth. 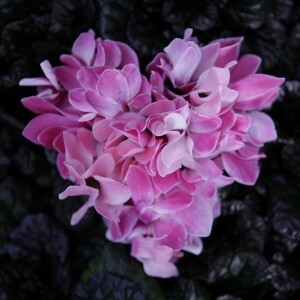 We like to give our customers the reference to Valentine’s Day because it is easy to remember. 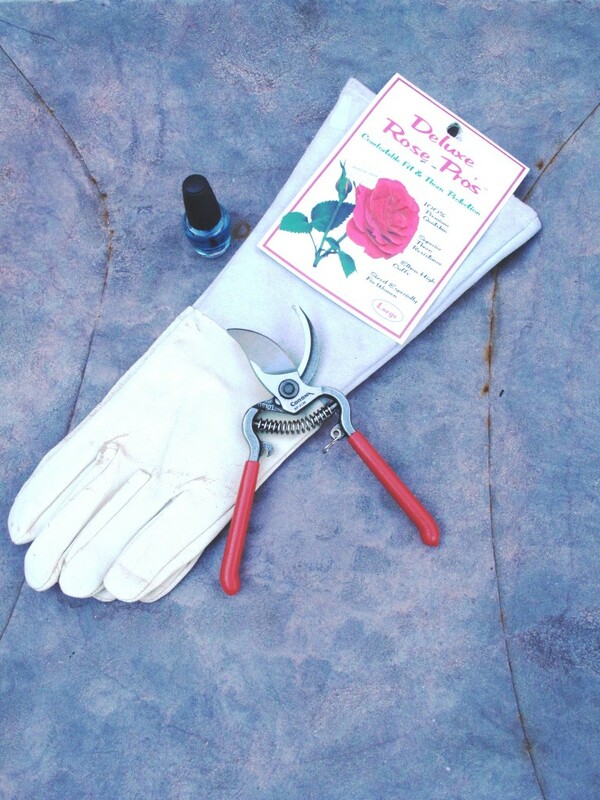 So sharpen your pruning shears, get some clear finger nail polish or Elmers Glue to dab on the fresh cuts to seal the wounds, and take care of your roses. 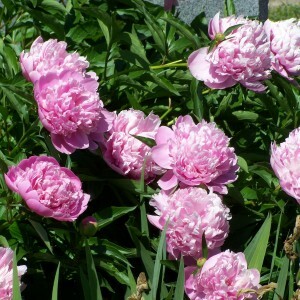 They will love you for it by rewarding you with a garden full of beautiful blooms. Please call or come in to the store for more information on how to cut back your roses because how much you cut depends on the variety. Once you are ready, you can use the following image as a guideline to help you determine where to cut your roses. Nicholson – Hardie also has seminars dedicated to cutting back roses, rooting roses, and the best roses for Dallas on Saturday, February 2nd at the Nursery located at 5060 W. Lovers Ln. 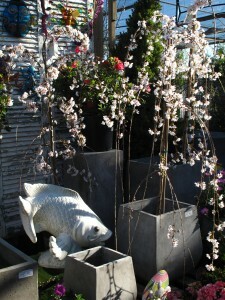 What does January look like at a plant nursery?? Well, this year has been a cold one for Dallas. We even had a snow day which is not common here. But, we got our temporary greenhouse built to house all of our seasonal plants for those really cold days. This is great because it helps keep them alive and beautiful (an obvious perk), but it also keeps our customers warm so they stay comfortable while shopping. We just finished potting our modern roses and getting ready to pot up some peonies – two favorites for English garden lovers. 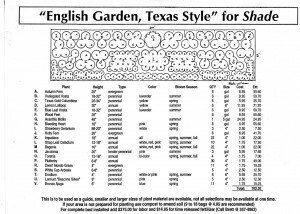 The varieties we have are proven winners and do very well for the Dallas area so you can have the English garden look in Texas. You can register online or at the store. Please call us at 214-357-4674 for more information. 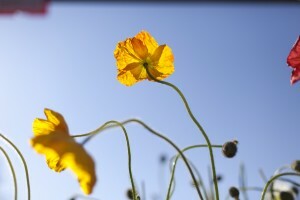 It is sad to see the holiday season go, but exciting that Spring is just around the corner. 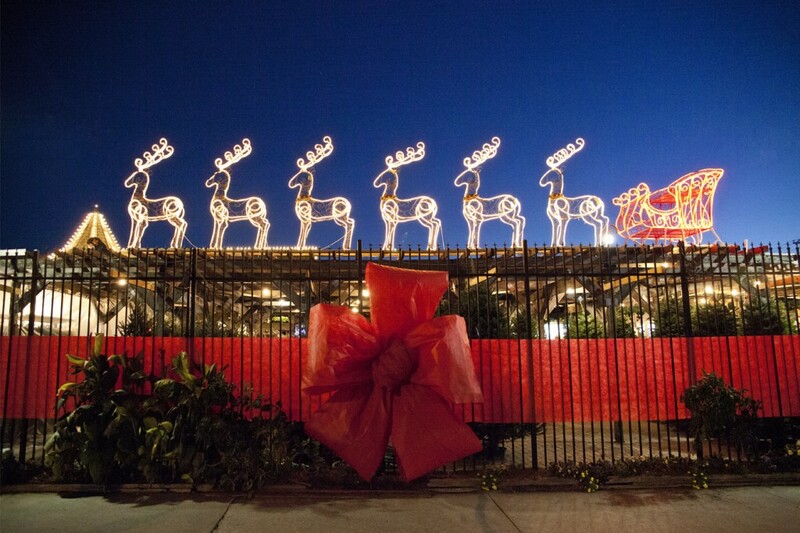 We had a wonderful season ushered in by a visit to our store from Santa Claus, a wintery wonderland with a lot full of gorgeous Christmas trees, and a big giant bow around the store. We would like to thank all of our customers and wish you a great start to the New Year. It was a joy to see all of you come in and pick out Christmas trees with your families!! 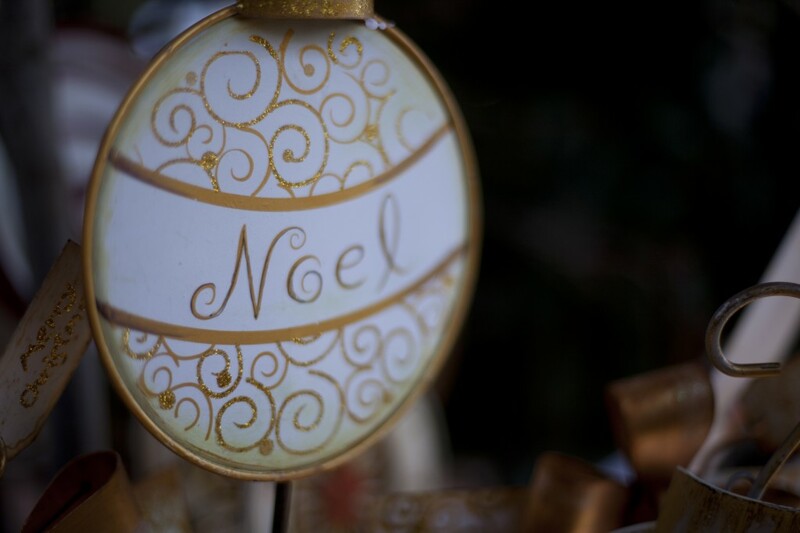 We are saying goodbye to the Christmas season with a sale on all our Christmas decorations. It’s always good to be thinking ahead and now is a perfect time to take advantage of the sale we have on all our Christmas decorations. 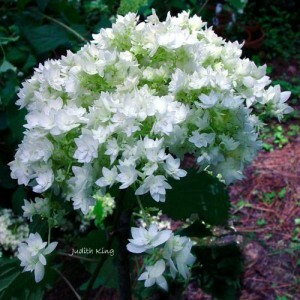 Newcomers, let me introduce Nicholson – Hardie Garden and Nursery and talk about its origins. 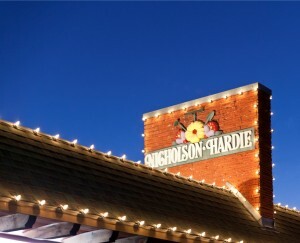 My first experience was as a young child, when my grandmother, an avid gardener, took me to Nicholson Hardie. It was an outing that seemed like a chore at first since I would have much rather stayed at her house playing outside in her yard. But once I got to the store, I found that it was just as much fun to explore with aisles of mysterious plants making it seem like I was in a tropical jungle. She would always come for trusted advice on what was happening to her magnolia tree, why her tomatoes weren’t producing much fruit, or how to care for the banana plants that she uprooted from her home in Florida and brought to Dallas. When my older sister dug them up from my grandmother’s to plant in her yard… where do you think she went for advice on how to do that without killing them? Those banana trees have now become a treasured family heirloom. You see, for many in the Dallas community, Nicholson – Hardie is not only a brand name – it is a household name because that is where their parents, grandparents and friends have gone and still go to meet all their garden needs. When John Bracken bought Nicholson – Hardie Seed Store, he had a vision. 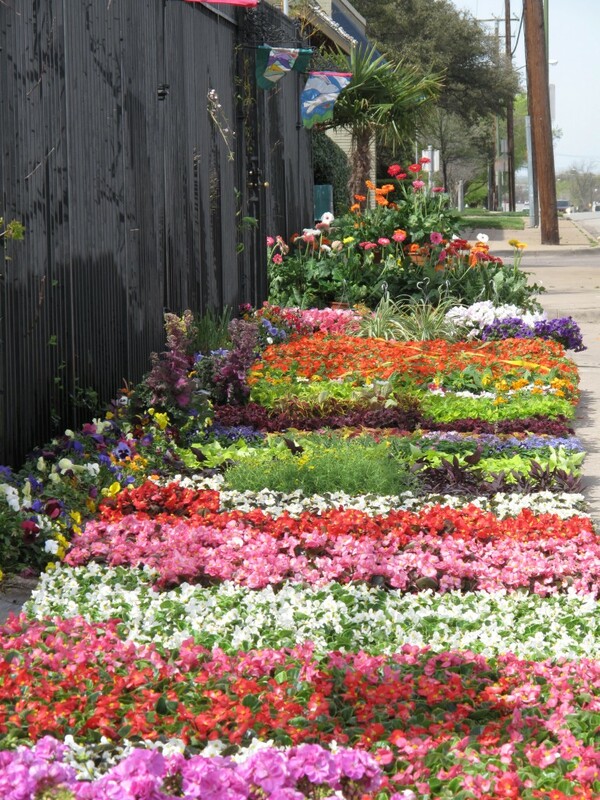 He wanted to create a store that stayed true to its origins by providing quality seeds to the outdoor gardener and landscaper, but wanted to expand it to include premium indoor and outdoor bedding plants to the residents in the Dallas area. Nicholson – Hardie soon bore the reputation of being the place to go… not only for quality plants, but also for expert advice and quality service. As his two sons, Michael and Josh Bracken, became more involved with the store they also infused their own visions of creating an upscale gift and plant store while staying true to its roots of providing the community with excellent service and products. All of this is a lot for one location to take on and maintain the atmosphere of a specialty store… thus the reason for two stores right down the street from each other. They are two sides of the same coin… well you could say they are two distinct brands with the same name. 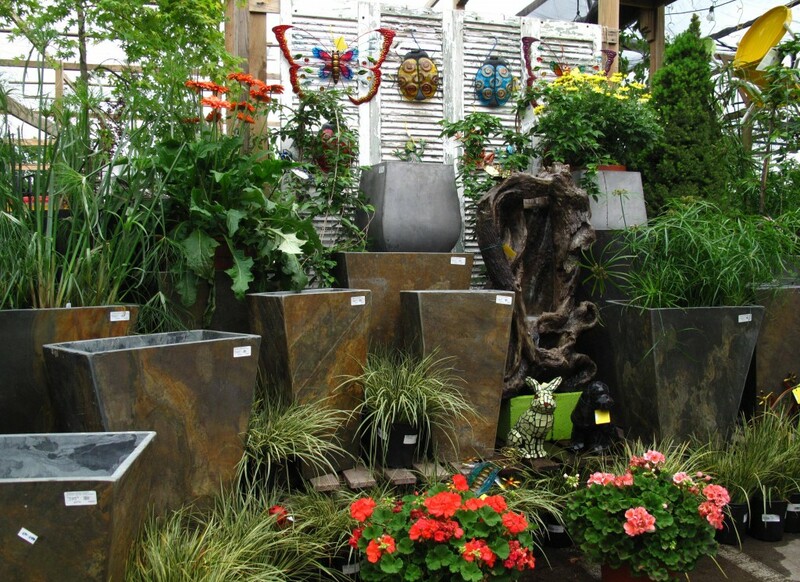 At Nicholson – Hardie the Garden Shop you can lose yourself in the surroundings of exotic indoor plants, shelves of candles, picture frames, and a wide assortment of indoor pottery. You can find just about any seed or bulb you desire, and then some. If you explore out back, you are sure to find the tables in full bloom with annual color. Herein lies the common ground (other than premium quality, expert advice and great service… of course). 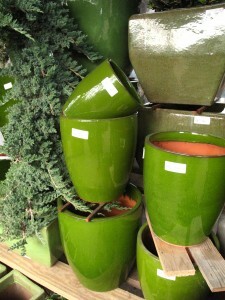 At Nicholson – Hardie the Nursery, you can also find the tables full of seasonal color. 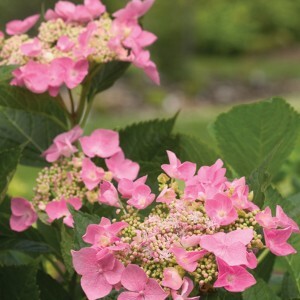 Additionally, you will find hardy perennials to last year after year, shrubs, trees, roses, cactus, Texas natives and a large variety of ornamental plants. 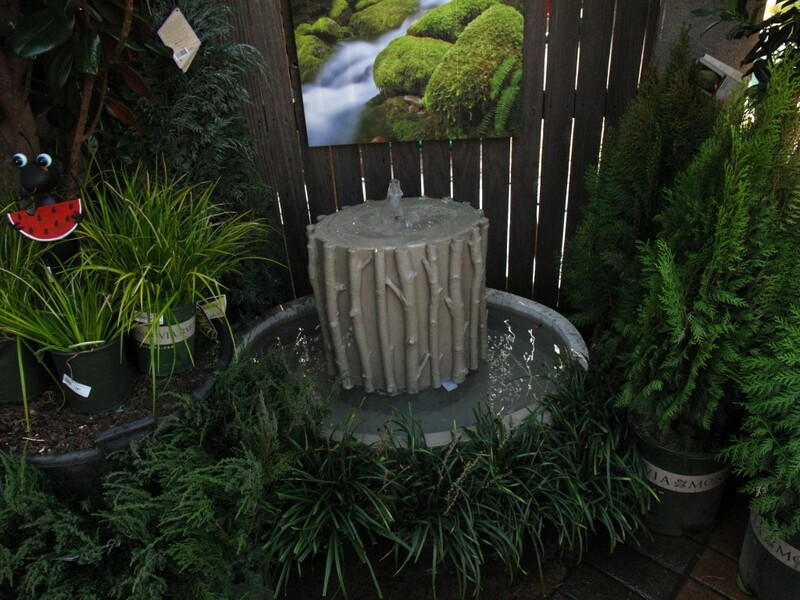 Mixed in with the plants, you will find displays of outdoor fountains, garden sculpture, decorative outdoor containers, and seasonal designer decorations. So there you have it, two stores, two brands… one name. A genius solution to the vision of wanting to provide upscale indoor -outdoor living and landscaping to the Dallas community. 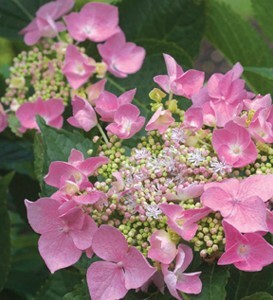 Welcome to the Nicholson – Hardie Blog plant and garden lovers! A lot of exciting things will happen here! 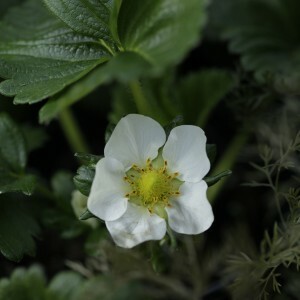 During the course of time, we will share a wealth of information and resources in this blog not only about Nicholson Hardie, but a host of different topics relating to plants and your garden. We value your participation so we intend for this blog to be an interactive forum where you can share your favorite garden ideas. There will be posts dedicated to specific topics so please stay tuned for calls to action such as sharing your favorite plants, recipes using garden herbs, or photo contests. Please feel free to leave comments or questions if you have any.